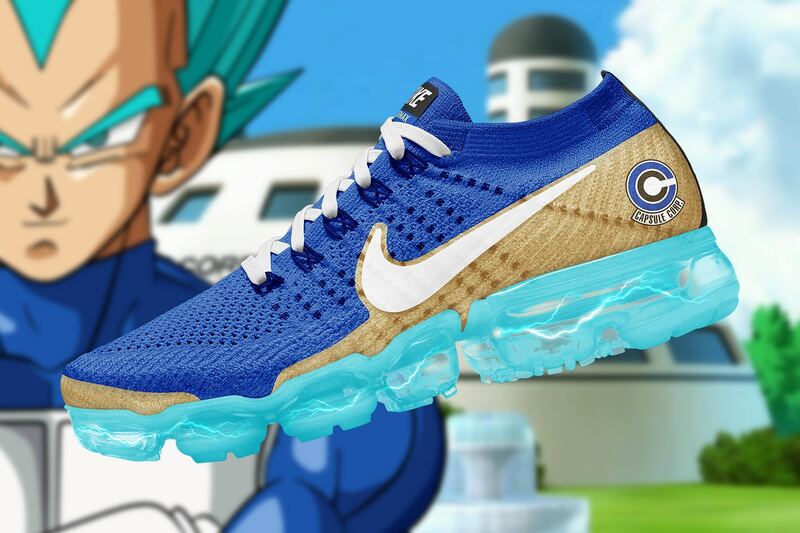 An artist that goes by the name The Golden Shape has executed the popular Nike runner with colorways that truly represent Dragon Ball Z. that range from Frieza and Black Goku to Shenron and Vegeta. The pack also includes a colorway that plays with Goku’s Super Saiyan Blue transformation. Select versions, including the Majin Buu, Beerus and Goku shoes, boast character-specific emblems on the heel too, like Buu’s signature “M” and a Capsule Corp logo on Vegeta’s shoe. Elsewhere, little detailing bring the shoes full circle, like the snakeskin accents on Shenron’s all-green pair, which also boasts the Dragon Ball stars embedded in the visible Air outsole. Dope or Trash?